If you are ready to embark upon the exciting and rewarding journey of presenting your research – congrats! Whether complete or in-progress, take a moment to acknowledge all of the hard work you have put in to make it this far in your undergraduate research career. 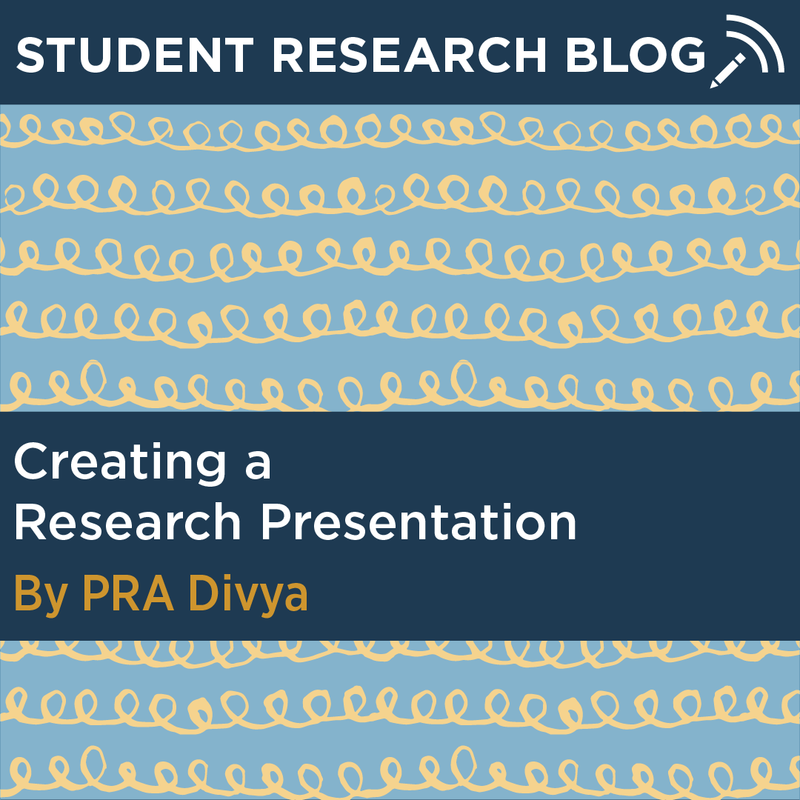 Now is time for the fun and creative part – displaying your research. 1. Where am I presenting? Students present research in many different environments. 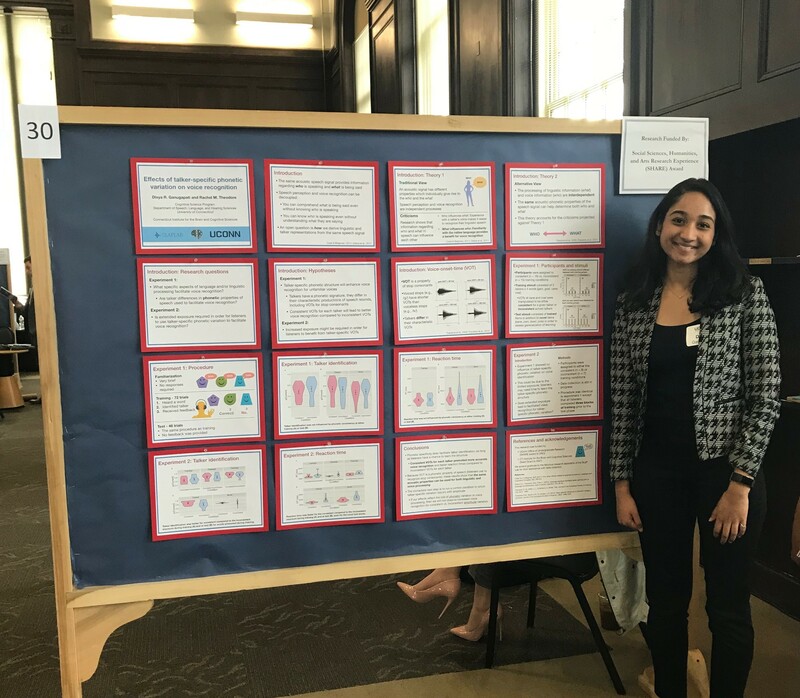 While some may travel to other countries to take part in conferences and symposiums, others may choose to stay local and present at UConn’s own Frontiers in Undergraduate Research Poster Exhibition. With this comes the question of travel; are you able to take a 3 x 4 ft research poster with you or is something more transportable like printed power point slides mounted on cardstock a better option? Also, make sure you read the guidelines sent by the conference organizers. There may be specific limitations or criteria to keep in mind, such as size restrictions, poster orientation requirements, or that you have your poster mounted on foam board. When speaking in public, it is always important to identify your audience. If you are presenting mostly to students your own age, you might choose to format your presentation in an approachable and relatable manner – focus on visuals and refrain from masses of text. However, if your audience primarily consists of distinguished professionals who are masters of your research field, it may be worthwhile to put a spotlight on specificities such as important vocabulary, references to relevant literature, and statistical measures. 3. In what modality am I presenting? At some conferences, presenters are asked to speak about their research in more of a lecture format, in this case you want to make sure you are able to address a large and diverse audience. If given tech equipment, creating a unique Powerpoint or Prezi could be in your best interest. However, if presenters are placed in corridors, auditoriums, or hallways, a poster may be best to attract any passersby. Be sure to understand the format of the event you are presenting at beforehand! 4. What type of project am I presenting? Don’t forget that research is a broad term that encompasses a variety of subjects and projects. Some research projects are confined to the lens of a microscope while others may investigate trans-continental movements. Not all research projects are best displayed and celebrated on a 3 x 4 ft research poster. If you are looking for other options, consider if setting up models, displaying artwork, or creating a video or film would better feature your work. The first time I set out to make a research presentation, I decided to go with a tradition research poster. I was able to download a template using Microsoft PowerPoint which was very helpful so that I didn’t have start from scratch! However, later on my mentor Dr. Theodore and I felt that mounting printed slide on cardstock would allow our research findings to follow. We use OneNote to create 16 individual slides which we presented in a 4×4 manner that allowed our narrative to be visualized from past literature to forming a research question to our experiment, statistical findings, and conclusions!